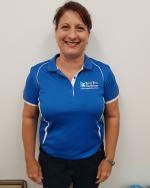 Katrina graduated from the University of Queensland in 1994 and brings over 20 years of clinical experience to North West Physiotherapy Eatons Hill. Katrina has worked in a number of different private practice settings in this time and her passion for getting patients better has led her to completing multiple continuing education courses. Katrina has a special interest in treating Sporting Injuries, Spinal Pain, Whiplash, Headaches, Shoulder and Knee Injuries but her extensive experience also equips her to deal with a broad range of injuries outside of this. Katrina enjoys utilising Hydrotherapy as a treatment option for patients and looks forward to broadening her skill base to include Dry Needling in early 2019. Katrina offers Post-natal Pilates, Pre-natal Pilates and Seniors Strength and Balance classes. Call the clinic for more details (07) 3333 1646.